Indeed she does. From the revitalization of Times Square and the rebirth of Downtown to the westward expansion of Midtown’s central business district, Mary Ann Tighe has been at the forefront of the transformation of New York’s skyline during her 32 years in the real estate industry. Mary Ann has conceived, structured and negotiated virtually every form of deal including ground leases, air rights acquisition and disposition, net and gross leases, government incentive packages, and a range of equity transfers from partnership and condominium interests through fee simple sales. She has been responsible for more than 101.6 million square feet of commercial transactions, and her deals have anchored more than 14.4 million square feet of new construction in the New York region—believed to be a record in commercial brokerage. Mary Ann has been CEO of CBRE’s New York Tri-State Region since 2002, a region of 2,500 employees. Under her leadership, CBRE has become New York’s preeminent firm, outdistancing all competitors in market share, revenue and margins. Mary Ann is a nine-time winner of the Real Estate Board of New York’s Deal of the Year Award for ingenious brokerage, a record number of wins since the award was created in 1944. 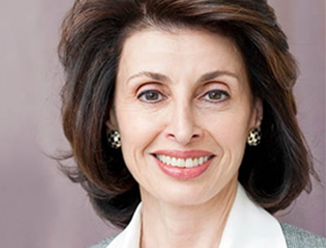 She received the Louis Smadbeck Memorial Broker Recognition Award, REBNY’s highest award in brokerage, and REBNY’s Bernard H. Mendik Lifetime Achievement Award. Mary Ann was also honored by the NYU Schack Institute of Real Estate with its Urban Leadership Award; she was the first woman to receive this award. Most significantly, Mary Ann has enjoyed unbroken, long-term relationships with a number of public and private companies and non-profit organizations, shaping and implementing their real estate strategies for large and small projects. Her ongoing accounts include the Archdiocese of New York, AMC, Crain’s, 21st Century Fox, News Corp., and WPP Group. For a three-year term starting in January 2010, Mary Ann served as Chairman of the Real Estate Board of New York, the first woman to hold this position in REBNY’s then 114-year history, and the first broker in 30 years. Mary Ann began her real estate career as a broker at the Edward S. Gordon Company, ultimately rising to the position of Vice Chairman of Insignia/ESG, where she was regularly recognized among the firm’s top producers. Prior to entering the real estate field, Mary Ann served as a Vice President of the American Broadcasting Companies, where she launched the A&E cable channel. Recognized nationally for her expertise in the arts, Mary Ann was also formerly the Deputy Chairman of the National Endowment for the Arts, Arts Advisor to Vice President Walter Mondale, and a staff member of the Smithsonian Institution.